For Ann, it was all about her piano. 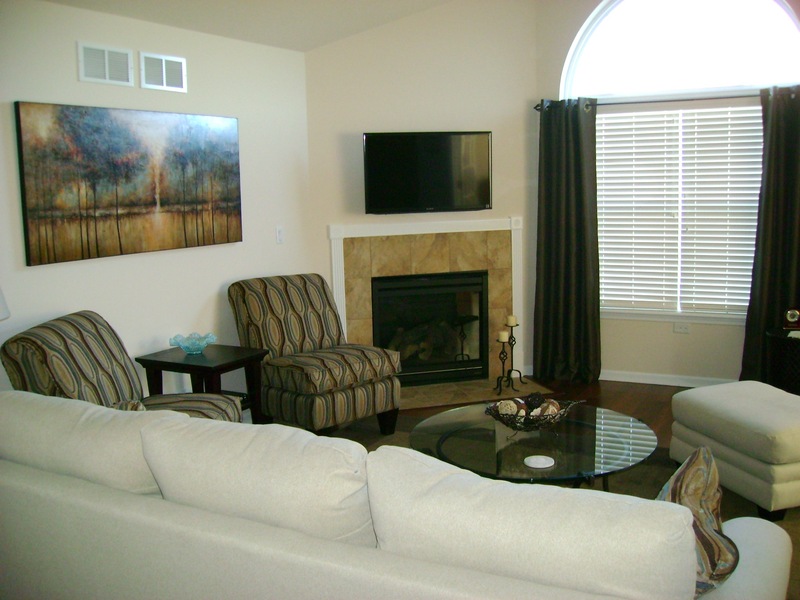 She was ready to downsize and to live on one level when she came to look at homes at Maples at the Sonatas. She had an open mind—except for one deal-breaker requirement. 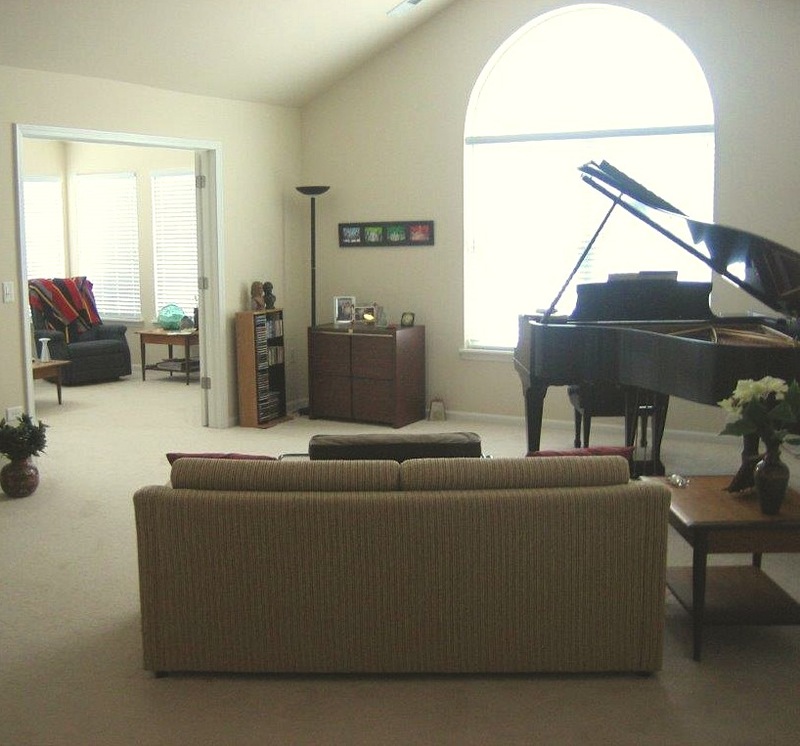 The home had to have a living room large enough for the seven-foot grand piano that she would be bringing with her. Ann found the perfect space for her piano in the Canterbury model. By omitting the optional corner fireplace, she ended up with a living room that could have been custom designed for her grand piano. And it was more than the size and shape of the room. After moving in, Ann was delighted to find the acoustics of her vaulted ceilings are fabulous for both her piano and her CD speakers. Ann is just one of my neighbors who love their Canterbury homes. And they aren’t alone. 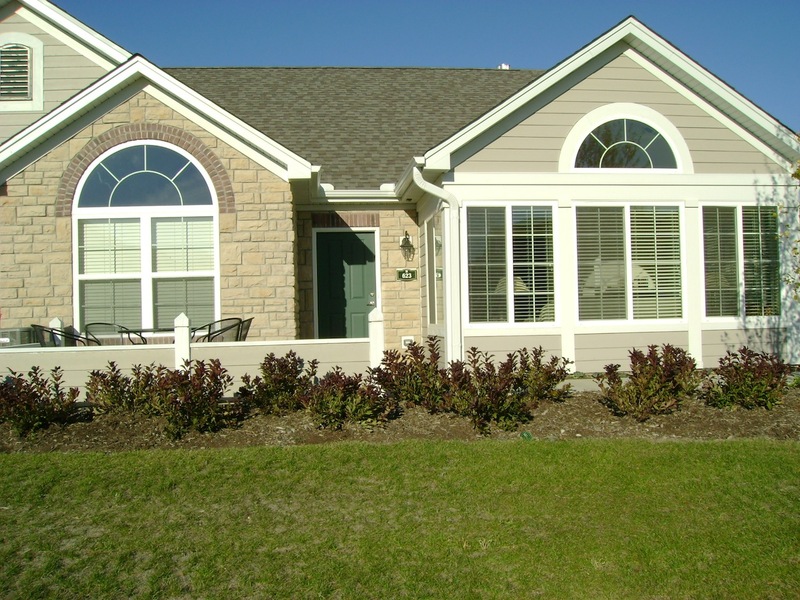 According to Epcon Communities statistics, the Canterbury was the most popular of their models with buyers during the first half of 2013. 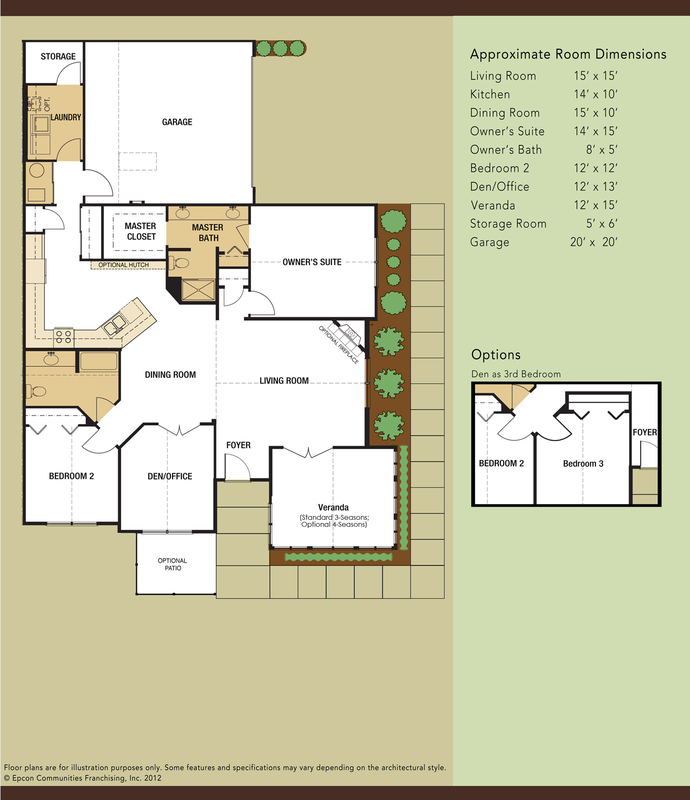 Before we continue, let’s take another look at the Canterbury floor plan. Here it is. Plus, she added, the home came with great neighbors! Now let’s go visit Chuck and Sharon, who live in the other Canterbury in Ann’s building. Here’s how it looks as you approach their front door. To begin with, they liked the Canterbury’s size of 1818 square feet. They feel nearly all of the rooms are generously sized. 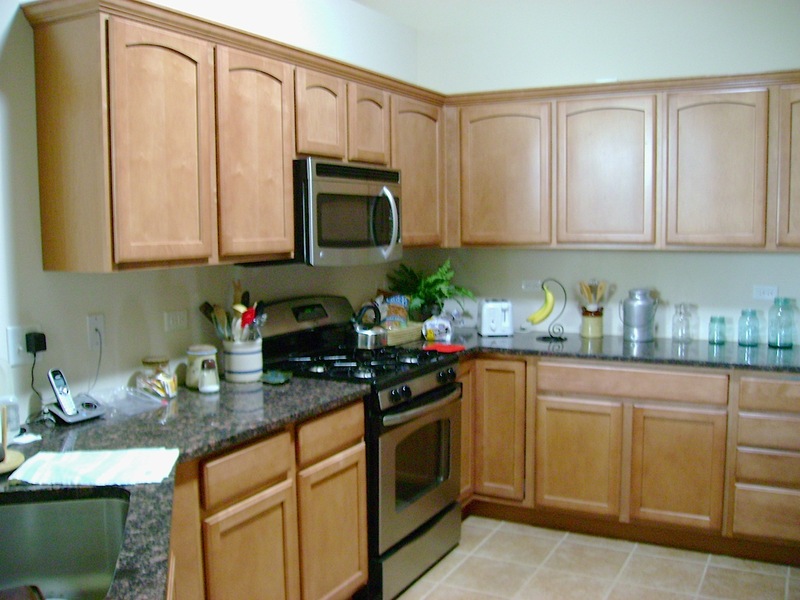 There is good storage in the kitchen and its pantry, especially because they added the optional bank of cabinets. They also like how the kitchen is open and flows into the dining and living rooms, so they feel connected to others in the house. 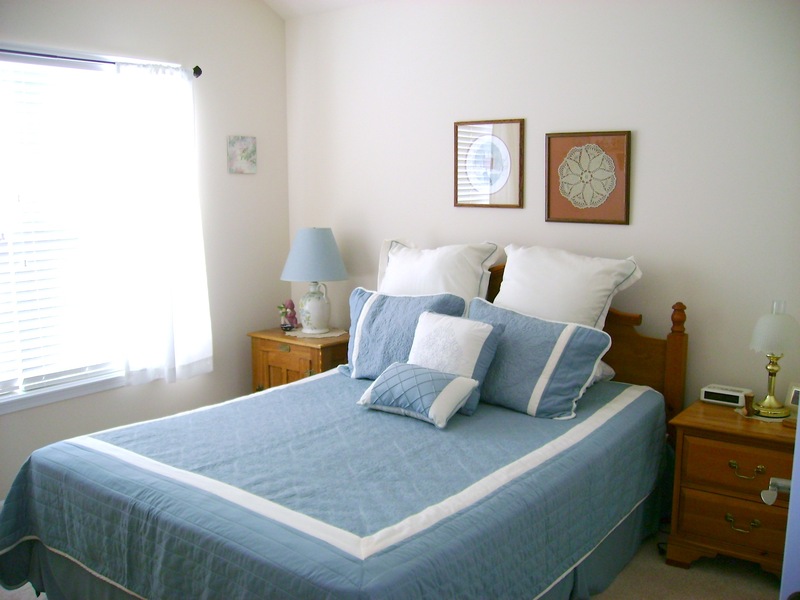 Chuck and Sharon wanted a dedicated guest room. And they needed a den/library to house all of Chuck’s books. They got both with the Canterbury. 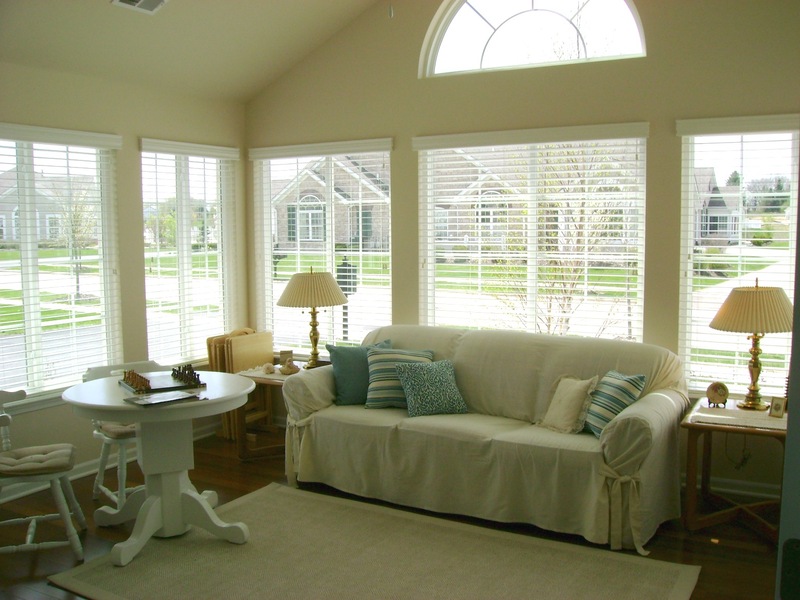 They spend a lot of time in their favorite room, the veranda, enjoying all the light it brings into the house. Here’s a peek into some of their rooms. Finally, if you’re thinking the Canterbury could possibly be your future home, follow this link for more information on the model.